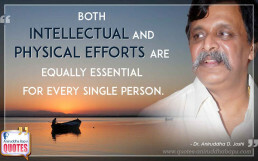 Both intellectual and physical efforts are equally essential for every single person. 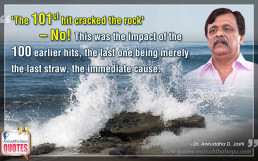 'The 101st hit cracked the rock' – No! This was the impact of the 100 earlier hits, the last one being merely the last straw, the immediate cause. 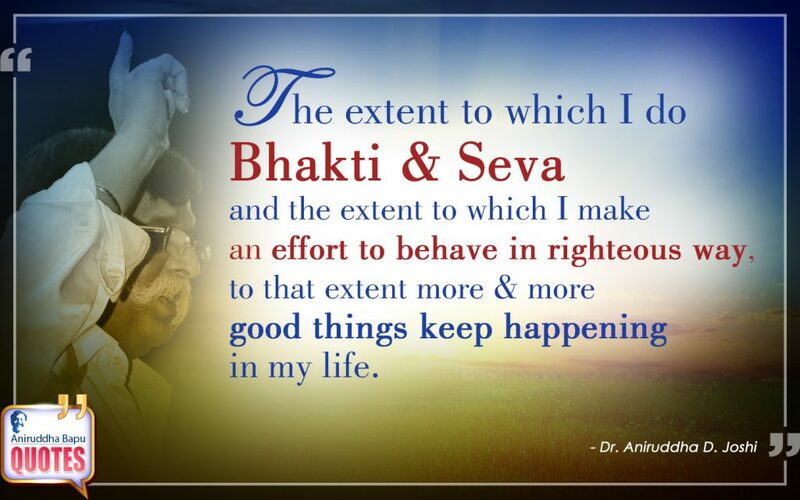 The extent to which I do Bhakti & Seva and the extent to which I make an effort to behave in righteous way, to that extent more & more good things keep happening in my life. 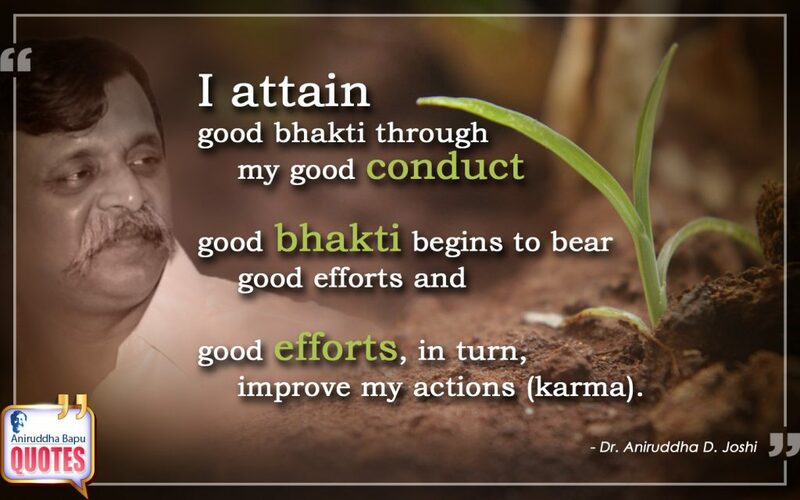 I attain good bhakti through my good conduct. good bhakti begins to bear good efforts and good efforts, in turn, improve my actions (karma). Never get scared when faced with a problem. My bhakti grow as big as that of a problem. 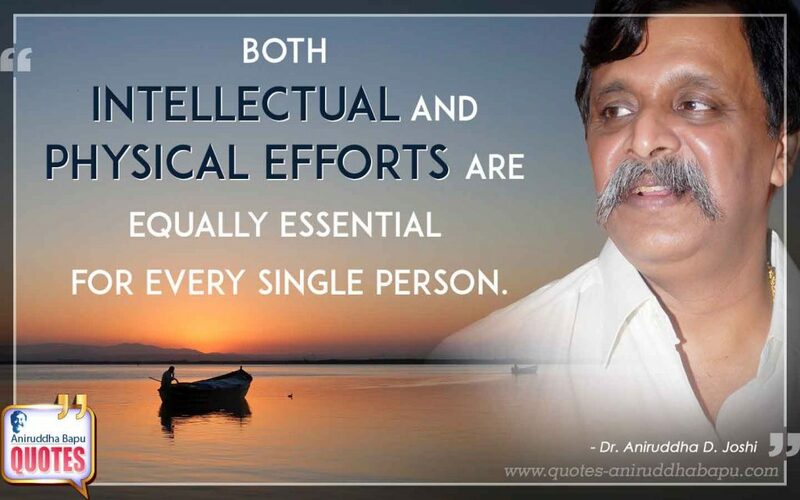 My efforts should be equally great. 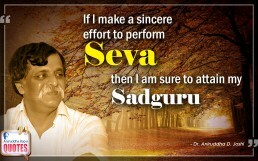 If I make a sincere effort to perform seva, then I am sure to attain my Sadguru. There are 3-4 ways by which a person may face untimely death during his lifetime. 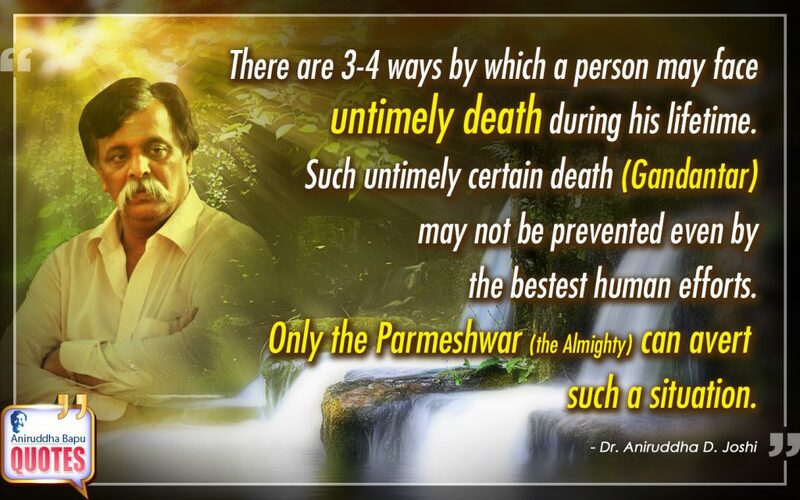 There are 3-4 ways by which a person may face untimely death during his lifetime. Such untimely certain death (Gandantar) may not be prevented even by the bestest human efforts. 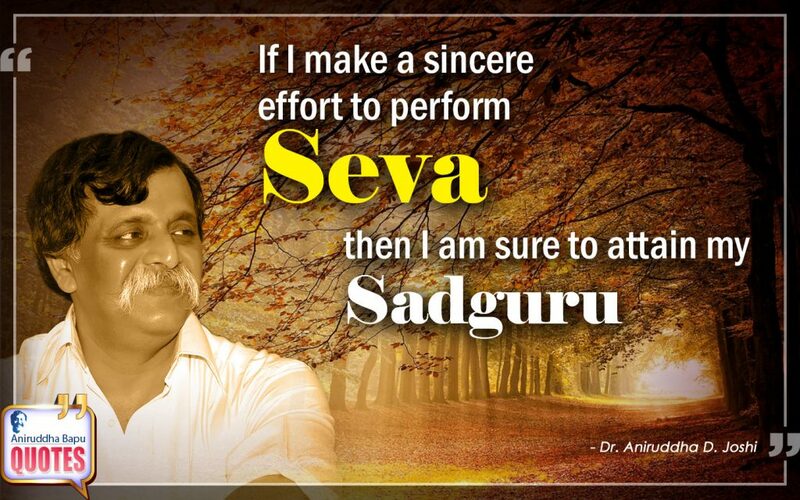 Only the Parmeshwar (the Almighty) can avert such a situation.